In the last MCWG meeting of 19 March, TRL presented a progress update on their research into the maximum assistance factor for electric bicycles in L1e-B. Their initial findings show that the current type-approval stands in the way of speed pedelecs and other e-bikes in the type-approval. In the Motor Cycle Working Group (MCWG), the European Commission consults with member states and with stakeholders, one of which is LEVA-EU, on the type-approval for the L-category. This working group is the discussion platform for all amendments, corrections and changes to Directive 168/2013 and its 4 Implementing Acts. For many years, first ETRA and now LEVA-EU have been arguing that this type-approval procedure is not suitable for electric bicycles. The procedure is originally written for mopeds and motorcycles. It is far too complicated, expensive and above all totally inaccurate for electric bicycles. It is very encouraging that the initial TRL findings appear to corroborate this position. No definitive evidence has been found to support the notion that the level of assistance factor provided by a pedelec affects the safety of the vehicle in either a positive or negative way. From a safety perspective the most important implications of differentiating ‘cycles designed to pedal’ from the rest of the vehicles in L1e-B is that their maximum mass is limited to 35 kg. The requirements applicable to L1e-A and L1e-B categories do not make them attractive to manufacturers and users. That was exactly the reason for ETRA, when the draft Regulation 168/2013 was discussed, to work for the abolition of the 250W limit applicable for the exclusion of electric bicycles from the type-approval. 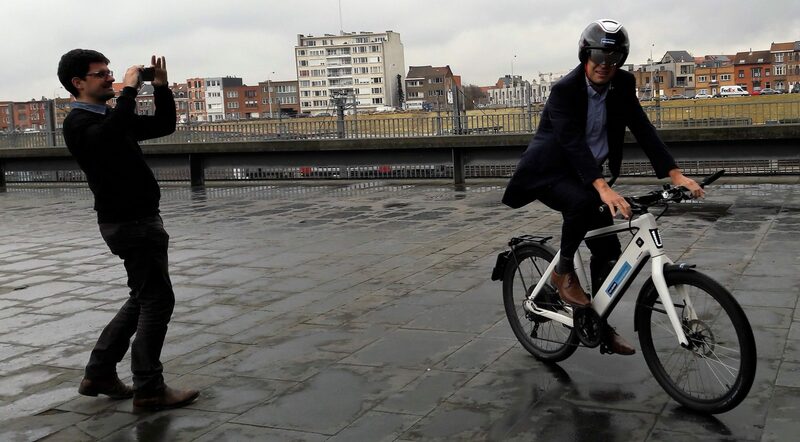 Had the argument been accepted, we would now not be stuck with the completely useless L1e-A type-approval for electric bicycles 25 km/h with more than 250W. These +250W bikes would also have been excluded from the type-approval. Therefore they would have come under the Machinery Directive and CEN TC 333 would have had the possibility to adapt EN 15194 to include +250W electric bicycles. What’s more, electric cargo bicycles would now not have been obstructed by this annoying limit and the new WG 9 in TC 333 could have developed a European standard for electric cargo bikes that helps instead of limits the market. TRL also found that “the regulation of assistance factor is regarded as being important in differentiating pedelecs from mopeds but not in influencing the safety of the machine”. This view appeared to have been expressed by Bosch. It is exactly a secret that Bosch is one of the main supporters of factor 4. The TRL researcher added to this finding that it was very questionable whether type-approval should be used to define the design of vehicles. LEVA-EU has consistently argued that type-approval should only pursue safety and environmental objectives and should not pursue design limitations. Two stakeholders in the meeting vigorously protested against the fact that in their view the TRL research was going beyond the scope set out by the Commission. Such reaction was foreseeable for ACEM, the Motorcycle Manufacturers’ Association. They dread the potential competition from electric bicycles for their traditional mopeds. As for CONEBI, who also protested against going beyond the scope, to date we fail to fathom this reaction. The current type-approval is clearly not in the interest of the electric bicycle sector. So why would an e-bike trade association protest against independent research that corroborates this conclusion and therefore paves the way for better regulation? In the meeting, the European Commission refuted the objections from both associations.